Crossroads This Week is a community newspaper serving an approximate 4,000 square mile area northwest of Brandon, Manitoba, Canada. The main communities served in this predominately agricultural area are Birtle, Hamiota, Rossburn and Shoal Lake. The publication, which is mailed every Friday to 2,900 subscribers, contains local, regional and sports news that is of interest to the subscriber base. 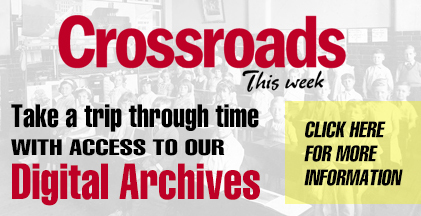 Crossroads This Week came about after a merger of the Birtle Eye-Witness, Hamiota Echo, Rossburn Review and Shoal Lake Star in January 2001. Publisher Greg Nesbitt purchased the Star in 1977 at the age of 19, added the Review in 1979, the Eye-Witness in 1984, and finally, the Echo in 1992. The newspaper is published from an office at 353 Station Road in Shoal Lake. Crossroads This Week employs a staff of six, who write, design and mail the newspaper. Printing of the paper, which averages 32 tabloid pages per week, is done at a central printing plant owned by Struth Publishing Ltd. in Killarney, MB. The newspaper is a member of the Manitoba Community Newspapers Association, the Canadian Community Newspapers Association, and is audited twice yearly under the CCNA Verified Circulation program.